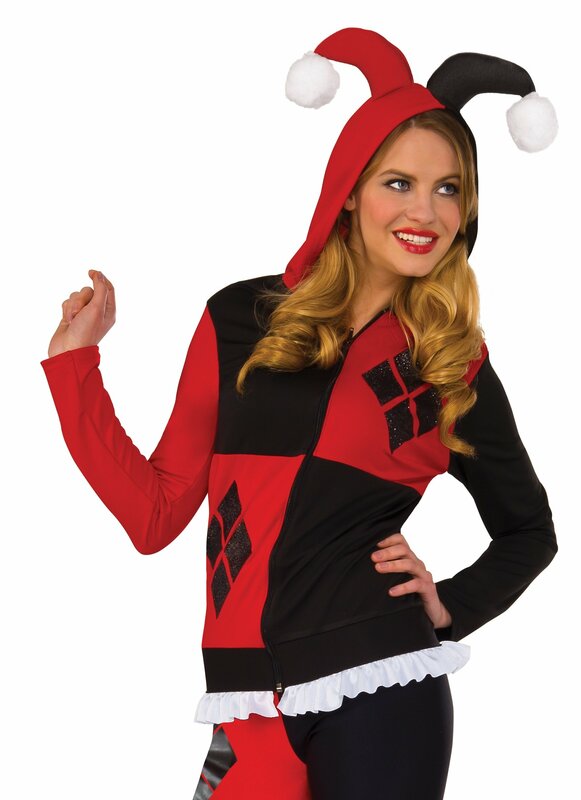 Transform into one of the world’s most beloved heroines! 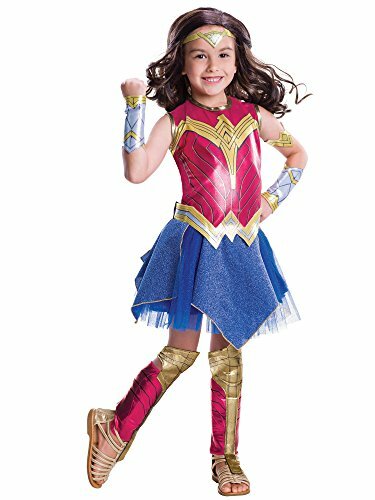 Get into high gear this Halloween in this Justice League Girls Wonder Woman Costume! 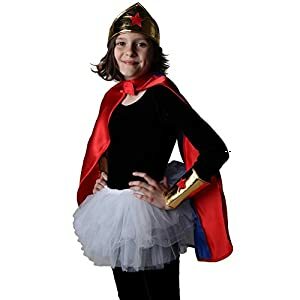 You’ll sport a classic heroine look in this brilliant blue skirt! 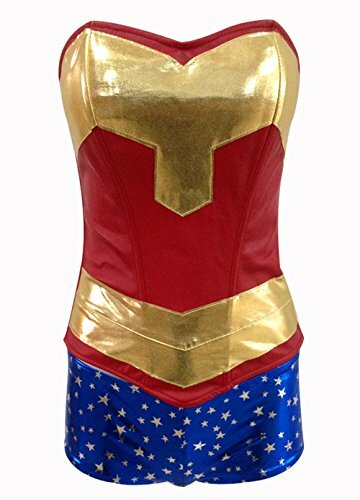 Your top features the bold colors of Wonder Woman herself�brilliant red and gold! 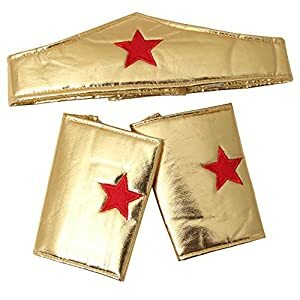 Your tiara gives you the official Wonder Woman look! 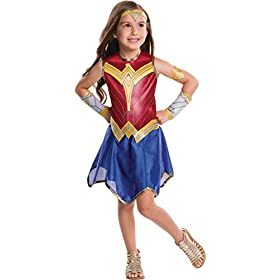 You’ll trick o’ treat in style in this Justice League Girls Wonder Woman Costume!